Rae-Rae: What's in my bag! I thought it might be fun to do a what's in my bag post today, I've seen others and thought it was a cool idea, it's always interesting to see what other people carry around with them on a day to day basis. So anyway this is my bag and all the stuff that lives in it normally. My bag is a Mulberry Alexa and i've had it for nearly a year now and have pretty much used it everyday. I love this bag so much. Card holder by Santoro London which holds my bus pass and student card. Mini make-up bag by LeSportsac which was a present from a friend. USB data stick, I think from Paperchase I can't quite remember I got it a while ago for uni! Mobile phone which is Blackberry Curve 9300 in a Cath Kidston which I love, its really sturdy and has a magnet which automatically locks your phone when you slide it in which is pretty useful! My passport, and the case is from Paperchase. Marc Jacobs compact mirror and a pair of star earrings. Impulse Very Pink body spray, just because its light and easy to carry around. Soap and Glory Hand Food, the best hand cream ever and the mini size is only £2.50 which I think is a bargain. L'Occitane Shea Butter Lip Balm, this literally lasts forever I love it! My purse which is by Mimco and was a birthday present, I love it though, its the perfect size, I quite like big wallets. And finally my Tangle Teezer, I don't think i'll ever use a normal brush again this has done wonders for my hair. My hair gets quite knotty especially when its wet and this gets through them so easily and without breaking my hair! 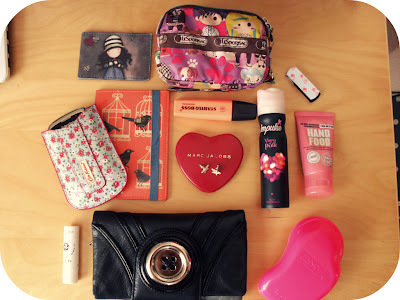 So that's what is in my bag today, hope you liked this post and hope everyone is enjoying the sun! Great post! I've heard so many good things about a Tangle Teezer brush, I'm going to have to check it out myself! Your purse looks so organized! Coming n following from FBH - I really love that adorable cathkidston!! I also have the L'occitane balm - yummy! Great post dear! Just stumbled onto you blog and I think it's amazing! I love 'whats in my bag' posts, but they always make me realize how desperately I need to clean out my bag! LOL Paperchase always has cute things! New follower from the blog hop til you drop! What a wonderful bag! I love L'Occitane! I'm now following your beautiful blog, if you want check out mine! Great blog! New follower, found you through the blog hop event! 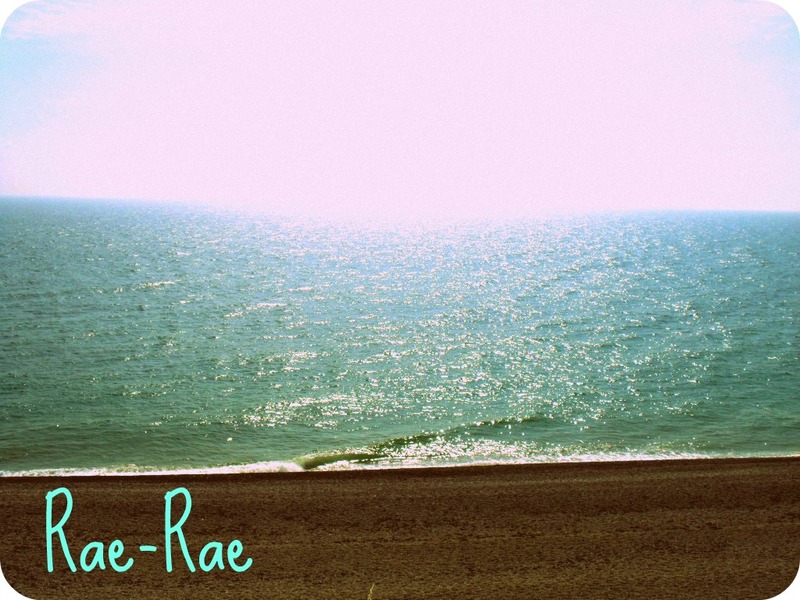 I'd love if you followed my blog! I love these kind of posts, they appeal to the nosiness in me! I love your bag! I've been thinking of trying out the Tangle Teezer there have been so many great reviews of it... Very temped to get one! 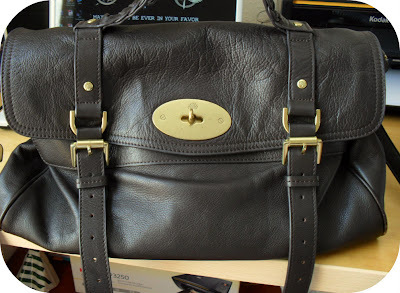 Trusty Mulberry Alexa <3 I love these kind of posts, i also love your blog.